In a few decades from now, the world’s fossil fuels have become near extinct, poverty has increased to the point where trailer parks tower higher than they are wide, and people prefer to spend their time living in a virtual online world known as OASIS. When the founder of OASIS dies, it sets off a chain of retro culture in the populace who wish to solve the riddles to win all of OASIS creator James Halliday’s wealth and property in a Willy Wonka-esque adventure. This is the world of Ernest Cline’s Ready Player One. Our protagonist is Wade Watts, and he is the one who introduces us to the world of 2044. He is a high school student who tells us how 1980’s culture has overtaken the prevalent culture once James Halliday died. People begin to obsess over the cultural touchstones of Halliday’s life in order to solve the riddles that lead to the three keys which reward someone with all of his wealth and control over the virtual world that everyone spends most of their waking hours in. In a pastiche that covers the 80s from music to movies to television to video games, the retro culture that we are currently living in is amplified to the point where it overtakes the modern culture. Although the world contains fully immersive virtual reality, people enter the world in order to interact with classic video games like Pac-Man in arcades and Adventure for the Atari 2600. To me, the only reference missing from the book was Tron, but that may have been overkill in the book. The plot itself is a fun, adventurous romp through this retro high tech world. We follow Wade as he attempts to solve the riddles himself, find compatriots on his quest and battle the evil corporation that wants to take OASIS and pervert it for their own commercial interests. Wade becomes the ultimate geek fantasy as he pilots spaceships, giant robots and interacts with 80’s teen movies and the music of Rush across the different worlds of OASIS. 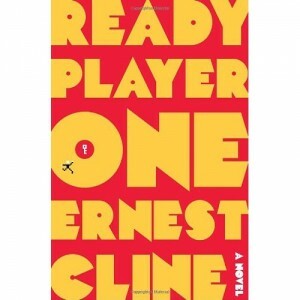 Ready Player One is a fun read from cover to cover and highly recommended for anyone who still loves Oingo Boingo, John Hughes movies and reruns of Family Ties.